Welcome back everyone! 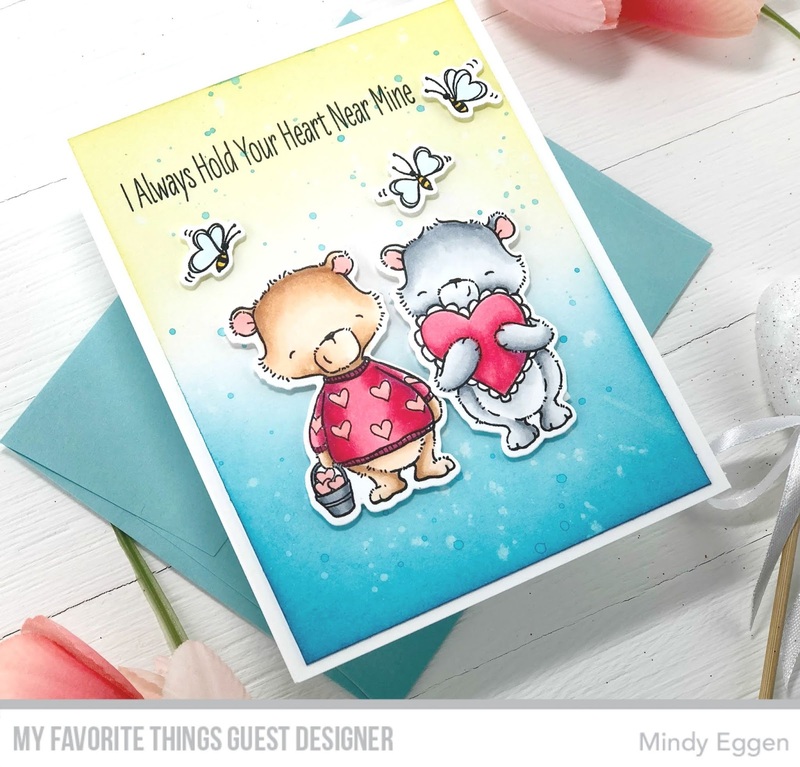 Today I’m sharing a card created using the new Joyful Bears set just released from My Favorite Things! I want to give a big shout out thank you to My Favorite Things for inviting me to guest design this month. They have such amazing products and it has been such an honor working with them! I have a tutorial for this card that you can view down below or HERE on my Youtube channel. 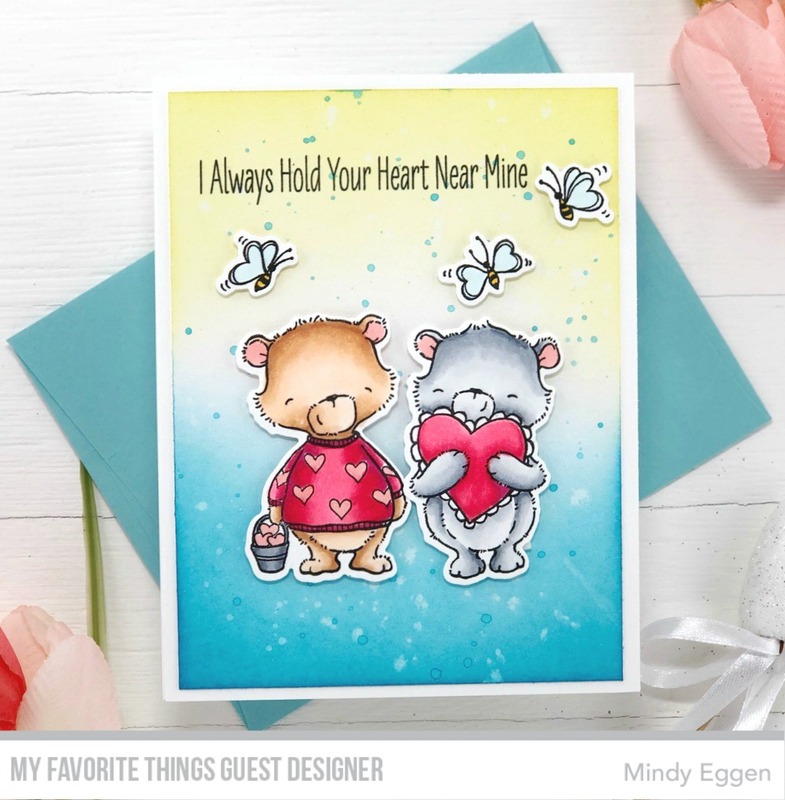 These bears are so super cute I kept them center stage on my card. I started out by stamping my images from the Joyful Bears stamp set onto Neenah Solar white card stock 80 lb. using MFT Extreme Black ink. Then colored with copic markers and used the coordinating die to cut them out. For my background, I’m using Bristol Smooth card stock. I start by ink blending Mermaid Lagoon Distress Oxide ink at the bottom. I start dark and get lighter as I get closer to the middle. Then I used Squeezed Lemonade Distress Oxide and did the same thing starting from the top. I spritzed with water and dabbed with a paper towel. Then I squished my Mermaid Lagoon onto my craft mat, spritzed with water and picked up with a paintbrush. I flicked this mixture onto my background for some added interest. I stamped my sentiment towards the top of the card using MFT Extreme Black ink and added my images with foam tape. This panel is added to a white A2 size card base. I have one more card to share using this cute set. I just couldn’t resist these adorable bears. This bear is also stamped onto Neenah Solar white card stock with MFT Extreme Black ink and colored with copic markers. I die cut a heart using the Stitched Heart Stax Die-namics from a piece of patterned paper using the Sweet Stack paper pack. This was added to a piece of white glitter card stock and then mounted onto a white A2 size card base. For my sentiment, I stamped onto white card stock with MFT Extreme Black Ink and die cut with the Slanted Sentiments Die-namics. I also die cut a piece of Black Licorice card stock to add underneath my stamped strip for some added interest. 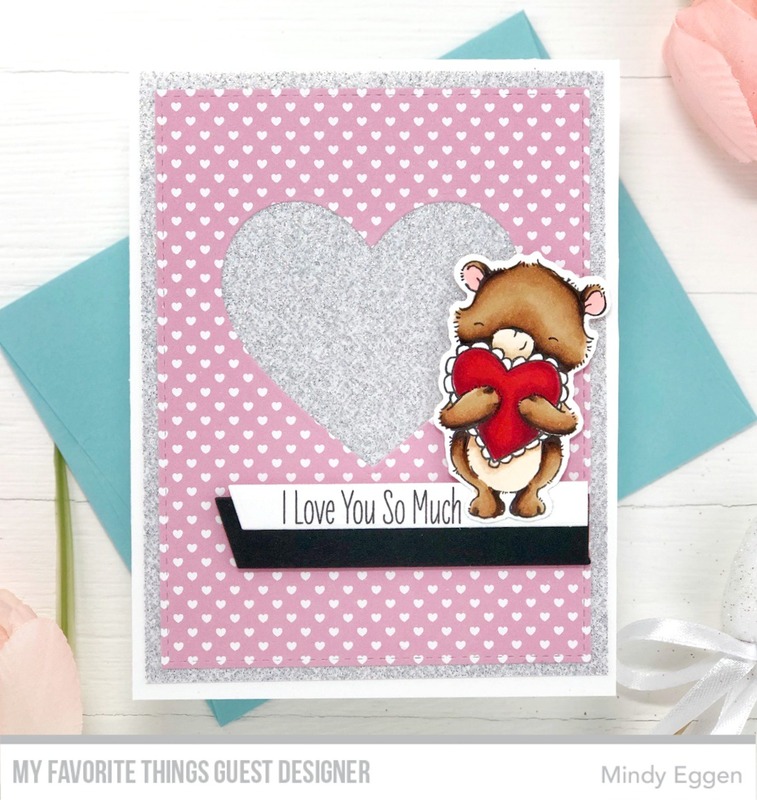 Be sure to check out my tutorial HERE on creating the first card. Thank you again to MFT for inviting me! 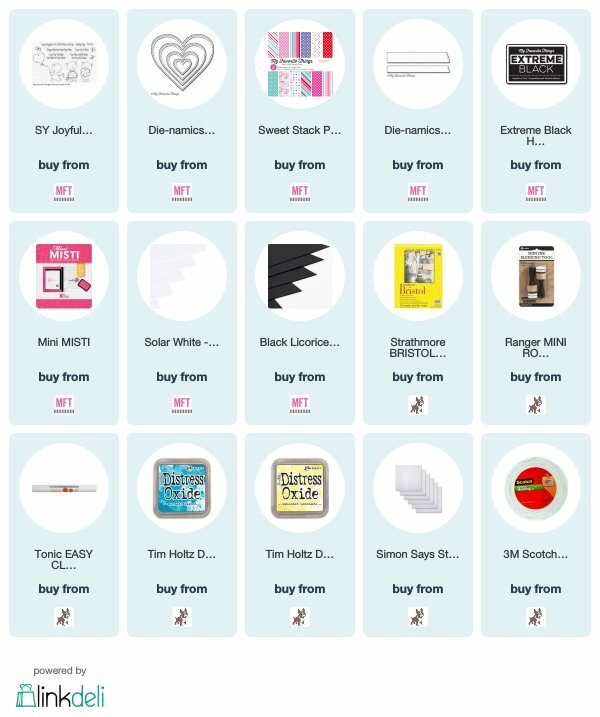 Affiliate links are used at no cost to you.